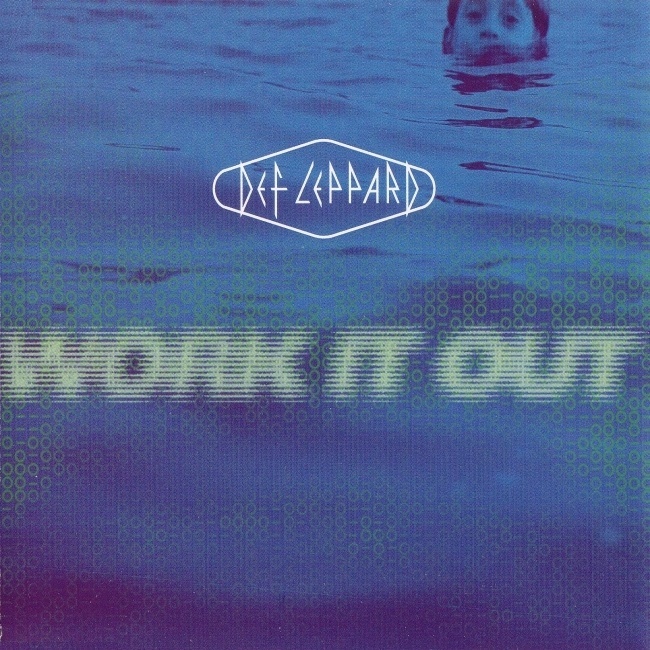 Def Leppard released their classic Work It Out single 22 years ago on this day in 1996 in the UK. The second UK single to be released from the Slang album. The song reached Number 22 in the UK charts. In total it spent 3 weeks on the Top 100 chart. The band promoted the single with another Top Of The Pops appearance which was filmed before a show in Detroit, MI. They played along to an edit of the studio version. The song had been released in the USA in May as the first single from the album. It was also the first song to be written by Vivian Campbell for the band. The single was released over two CDs. They featured a new original B Side called 'Move With Me Slowly' plus various live acoustic tracks from BBC sessions and Singapore. Vivian's original demo of the title song was also included along with the original version of 'Truth?'. "Viv's demo of this was pure pop and a great song but we wanted to give it a harder edge. This song took ages to get right as we tried to blend certain unusual elements ie... Nine Inch Nails, The Cure, and Bowie; while keeping the rock guitar thing happening. A lot of the stuff we record is due to a process of elimination and this song was no different. Joe's vocal was also very different from anything we've done in the past using Iggy Pop and late 70's Bowie as a guideline. Again, this song as almost everything on the album, was a progressive experiment while keeping the element of fun a priority. This is obvious during the middle section where we started to jam, going off on an inspired tangent, a benefit of recording live. The first U.S. single release and some of the coolest drum stuff I've ever heard Rick play." "It was so strange. 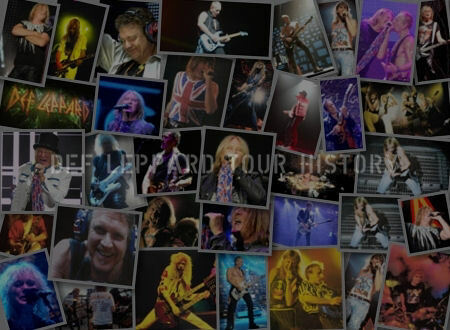 It was my first record with Leppard and this song, one of the very first songs that I contributed to the band, actually ended up being the first single. That was nice, but it was probably the one song that actually ended up being I guess, the most produced. 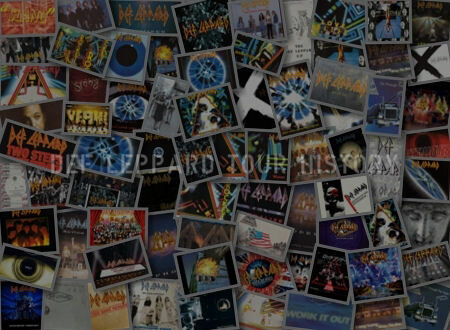 Then probably, ironically, the one that was closest in nature to what people expect of Def Leppard and strangely enough written by the new guy." 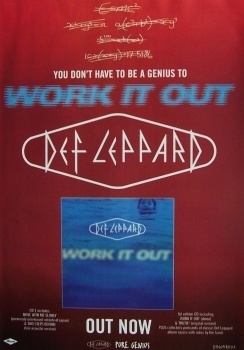 "Def Leppard Work It Out - Taken from their top 5 album 'Slang', Work It Out is the second release set to follow Slang into the Top 20. 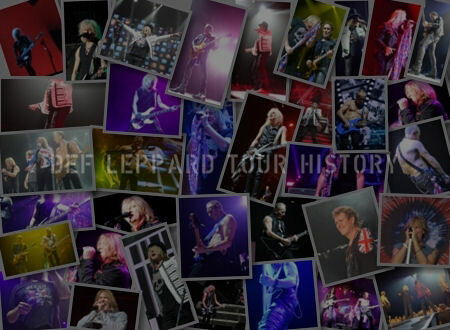 The Lepps start their world tour in Bangkok on 28 May and will be reaching the UK in November." "Work It Out" is the second single taken from Def Leppard's million selling album "Slang", and sees the band taking a radical new direction. 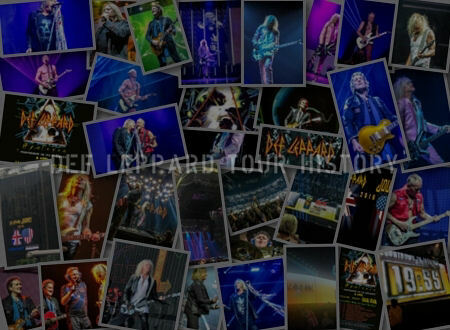 The band are currently at US radio and also in South East Asia where they commence their world tour at the end of May."